(ECP) who has special expertise in contact lens fitting. If you have (or suspect you have) any of these conditions and you want to wear contacts, visit an eye care professional who specializes in contact lenses and welcomes hard-to-fit patients. Contact lens specialists usually are more aware of the latest contact lens technology and options than a general eye doctor. Many also use advanced equipment that can measure your cornea more precisely to achieve the best contact lens fit possible. If you have keratoconus and cannot see as clearly as you would like to with glasses, you typically will see better if you are fitted with contact lenses specially designed for irregular corneas. Contacts for keratoconus improve vision by optically replacing the irregular shape of the cornea with a smooth, uniform surface that enables light to form a sharper focus on the retina. Gas permeable contact lenses. For mild to moderate keratoconus, many contact lens specialists recommend rigid gas permeable contact lenses. These lenses — also called GP or RGP lenses — are made of a rigid oxygen-permeable material, so they retain their shape on the eye and do not conform to the shape of the underlying cornea. Because of this feature, GP contacts eliminate blur caused by irregularities in the cornea and therefore provide sharper vision than glasses. Piggybacking contact lenses. Sometimes, GP lenses will provide excellent vision for a person with keratoconus, but the wearer finds the rigid lenses uncomfortable and cannot wear them for an entire day. In these cases, a fitting technique called piggybacking may be used. In piggybacking, a soft contact lens is worn under the gas permeable lens, acting as a cushion to reduce or eliminate any discomfort caused by the GP lens. Large-diameter scleral and semi-scleral GP lenses rest on the sclera and vault over the misshapen cornea in keratoconus. Scleral contact lenses. Sometimes the bulging of the corneal surface in keratoconus makes it impossible for a conventional GP lens to fit properly on the center of the eye and/or causes a GP lens to dislodge from the eye during blinks. For these situations, a contact lens specialist may recommend large-diameter GP lenses called scleral contact lenses. Scleral lenses rest on the white sclera of the eye and vault over the irregularly shaped cornea. In addition to providing a more stable fit, scleral lenses sometimes are more comfortable than smaller GP lenses on a keratoconic eye because they don't exert any pressure on the sensitive corneal tissue. Hybrid contact lenses. Hybrid contacts are large-diameter lenses that have a rigid gas permeable central zone, surrounded by a peripheral zone made of soft or silicone hydrogel material. The purpose of this design is to provide the visual clarity of GP lenses, combined with wearing comfort that is comparable to soft lenses. Hybrid contacts for keratoconus have a special design that enables the central GP zone of the lens to vault over the irregularly shaped cornea. Hybrid lenses also are available for the correction of nearsightedness, farsightedness and astigmatism in healthy eyes. Soft contacts for keratoconus. Today there are even custom soft contact lenses that can correct mild to moderate keratoconus. These special, made-to-order soft lenses sometimes are more comfortable than gas permeable or hybrid contact lenses for people with keratoconus or irregular corneas. Custom soft contacts for keratoconus typically have a larger diameter than regular soft lenses and have either a medium or high water content. Examples include KeraSoft IC lenses (Bausch + Lomb) and NovaKone contact lenses (Alden Optical). Sometimes custom soft lenses are recommended for people with keratoconus who enjoy excellent vision with GP or scleral lenses but cannot wear rigid lenses comfortably all day. For example, custom soft lenses might be worn for leisure activities during the day, and GP or scleral lenses might be worn for night driving and other activities that demand sharper vision. Toric contact lenses are specially designed contacts that correct astigmatism. Toric designs are available in both soft and rigid gas permeable lens materials, but soft toric lenses are much more popular than GP lenses for astigmatism. This is because they usually are immediately comfortable and don't require a "breaking-in" period. Note that regular GP contact lenses can correct common types of corneal astigmatism without the need for a toric design. But toric GP lenses are sometimes necessary to correct higher amounts and/or less common types of astigmatism. Hybrid contact lenses that have a GP center and a soft periphery are a great choice for astigmatism and irregular corneas. Fitting toric soft lenses is more difficult than fitting regular soft lenses. Sometimes, several toric lenses must be tried to obtain the best possible fit, vision and comfort. Custom toric contact lenses for astigmatism are available for people with unusual types or high amounts of astigmatism. Because they are custom-made, these lenses can cost significantly more than standard toric lenses and may require a longer delivery time. Hybrid contact lenses also are a good solution for astigmatism correction, especially for people who want the clarity of GP lenses but desire a lens that feels more like a soft lens. Dry eyes are a very common problem, frequently causing contact lens discomfort or making contact lens wear impossible for some individuals. According to a poll conducted by Harris Interactive, nearly half (48 percent) of all U.S. adults regularly experience one or more symptoms of dry eyes. To avoid or reduce dry eye-related contact lens discomfort, soft contacts that have been designed specifically for people with dry eyes are now available. These lenses retain moisture better than contacts made of other lens materials, for greater wearing comfort. Many contact lens specialists prefer fitting gas permeable contact lenses on people with dry eyes. GP lenses are smaller and don't absorb moisture from your eyes like soft lenses do, and therefore may cause less dryness-related discomfort. Your eye care practitioner may recommend treating your dry eye condition prior to contact lens fitting. Treatment may involve the use of artificial tears, medicated eye drops to help you produce more tears and dietary supplements for eye nutrition. Your eye doctor also might consider punctal plugs as part of your dry eye treatment. These tiny collagen or silicone devices are inserted into the tear drainage ducts near the inner margin of your eyelids to block tears from leaving the surface of your eyes. By keeping more tears on your eyes, punctal plugs often can improve contact lens comfort. The procedure, called punctal occlusion or lacrimal occlusion, takes only a few minutes and is painless. Once the plugs are inserted, most people can't even feel them. Read more about solving contact lens discomfort from dry eyes. secreted in your tears. This inflammatory reaction causes lid glands to secrete substances that create a filmy coating on contact lenses, making them uncomfortable and creating vision problems. Practitioners have several options to fit a person who has GPC. Sometimes soft daily disposable contact lenses will do the trick. Because you discard these lenses after just a single day of wear, there's not much time for protein deposits to accumulate on disposable lenses. Gas permeable lenses also are a good option. Proteins don't adhere to GP lenses as easily as they do to soft lenses, so gas permeable lenses stay cleaner and are less likely to cause an allergic reaction. Daily cleaning of gas permeable lenses generally will keep them free of residue, whereas soft lenses tend to retain protein deposits over time, even with proper care and cleaning. A practitioner also may prescribe medicated eye drops to reduce the allergic reaction that causes GPC. It may seem odd even to consider contact lenses after corrective eye surgery. After all, aren't LASIK and other procedures supposed to eliminate the need for glasses or contacts? Theoretically, yes. But LASIK doesn't always provide perfect vision. And sometimes, a second surgery to sharpen vision is not an option. In these cases, contact lenses may be in order. If you've had LASIK performed in a monovision fashion — with one eye corrected for distance and the other for near — occasionally you may want to wear a contact lens on the "near eye" so both eyes can see clearly in the distance for sports, driving at night and other activities that require the best possible vision. Contact lenses also can help to address LASIK complications, such as indistinct vision from higher-order aberrations after surgery. Gas permeable or hybrid contact lenses usually are the preferred lenses for this problem. Excessive glare is another potential problem following LASIK. Here, too, GP contact lenses and hybrid contacts usually are your best choice. These lenses often provide sharper night vision than soft contact lenses after surgery. Keep in mind that fitting contact lenses after refractive surgery might require more trial lenses and a longer period of time than fitting contact lenses on an eye that hasn't been surgically altered. Bifocal contact lenses and monovision are contact lens options for people who are hard to fit because of presbyopia. Like bifocal and progressive eyeglass lenses, bifocal and multifocal contact lenses have a more complex design than regular lenses, and precise fitting is essential for good results. Therefore, finding the best contact lenses to correct presbyopia typically is a more time-consuming and costly process than a regular contact lens fitting. The same is true for monovision contact lens fittings. But the result usually is worth the extra time and expense. Improvements in multifocal contacts have increased satisfaction with these lenses in recent years, and most wearers are very pleased about how the lenses decrease their dependence on reading glasses. Expect to pay more when you visit an eye care practitioner who specializes in contact lenses for hard-to-fit eyes. You're paying for the extra time required to fit these lenses, the practitioner's special expertise and the advanced type of lenses you'll receive. A fitting fee of several hundred dollars is not unusual, and fitting fees often do not include the cost of your lenses. In some cases, such as fitting contact lenses for keratoconus, health insurance or vision insurance may cover some of the associated costs. Ask your eye care practitioner or insurance agent for details. 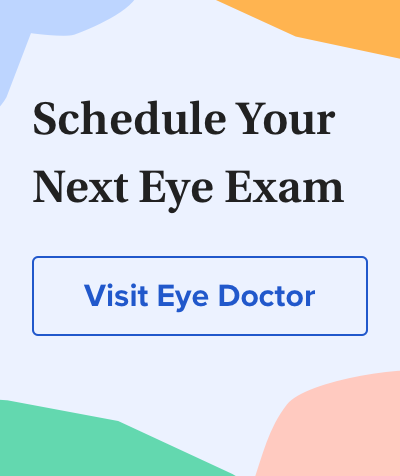 You may also visit our Find an Eye Doctor page or additional locators. Nancy Del Pizzo also contributed to this article.